Instruction writing: Incoming Inspection, Assembly Instructions, final test inspection, packing instructions, root card, reports et cetera. 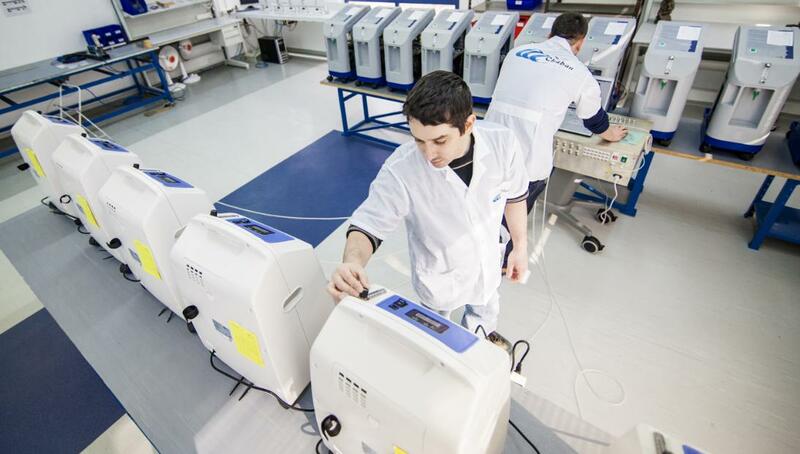 Cataloguing and document all components in Chaban Medical's MRP system. Locate suppliers according to customer demands. 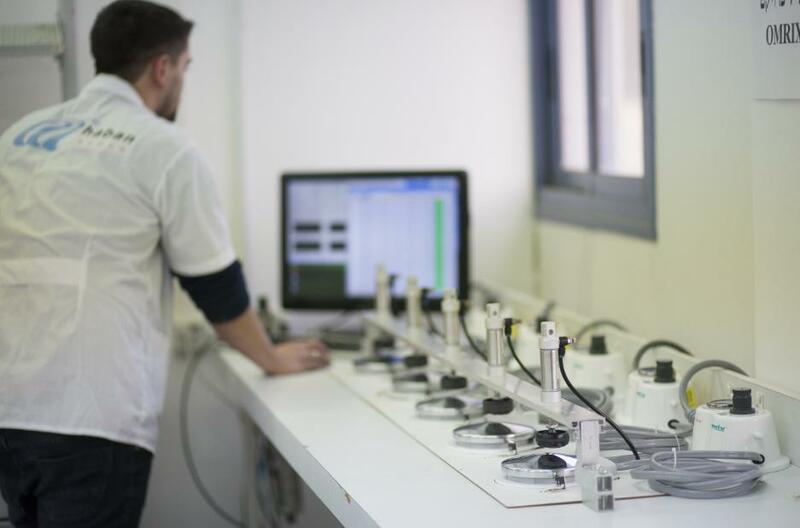 Develop and manufacture product ATE (Automatic Test Equipment). Support with products development, redesign and upgrade demands. In-House electric & mechanical assemblies. Clean Room (ISO-7, Class-10,000) manufacturing. The Oxy-Tec 5 oxygen concentrator, to which Chaban Medical holds all rights, is a patient-administered, continuously working homecare product, stationery or mobile, for chronic obstructive lung disease (COLD). Oxy-Tec 5 is intended for use by the patient outside the medical clinic or hospital, in the continually developing realm of homecare medical treatment. The Chaban Group's superior engineering capabilities enabled the transfer and incorporation of the Oxy-Tec5 from Y.S.M. to the ongoing, in-house production line. 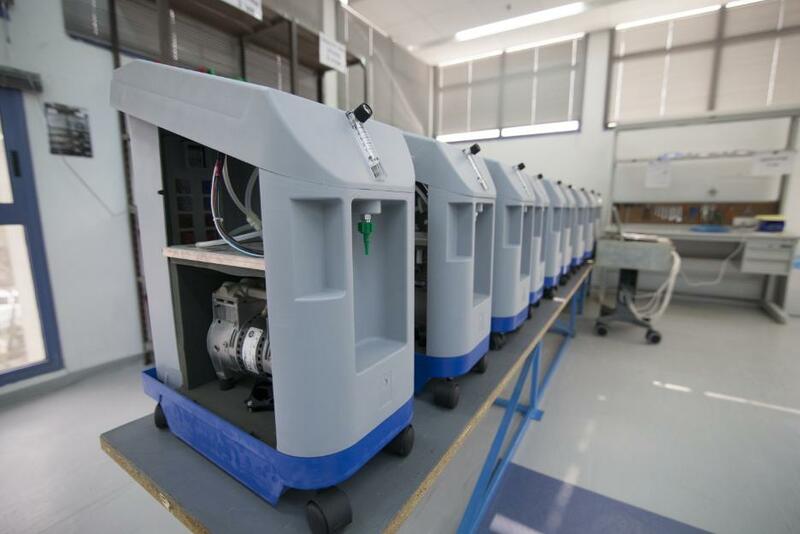 In addition, the Chaban team of engineers—mechanical, electrical, production and even design engineers—upgraded the device to a high-quality, competitive product. Suitable for both children and adults, Oxy-Tec 5S offers concentration up to 96% and flow rates reaching 5 LPM. Oxy-Tec 5S separates and concentrates oxygen from ambient room air for delivery to a patient requiring low flow oxygen therapy. Oxygen from the air is concentrated using a process of molecular sieves and a pressure alternating system. Chaban Medical's Oxy-Tec 5S offers users essential advantages that contribute to better health and quality of life. Oxy-Tec 5S can be conveniently used in home care settings, hospitals, clinics, and assisted living centers/nursing homes. - Unique design, awarded with the Certificate of Design Patent . - Comfortable-to-use, take-along device that can go almost anywhere. - Lightweight (only 15.9 kg), quiet (less than 45dB), reliable (94% AVG oxygen purity). - User friendly, operates 24 hours continuously. convenient access for filter cleaning. - For use in homecare, hospitals, clinics, assisted living centers/nursing homes. The product is a pressure regulating system for the flow of medical sealant to close the surgical site, as an alternative to the use of stitches. Chaban Group's high-level engineering capacity made possible the transfer and incorporation of the product from Y.S.M. to an in-house, continuous production line. Moreover, Chaban upgraded the mechanical and production aspects to provide a quality product, reliable and safe for use. 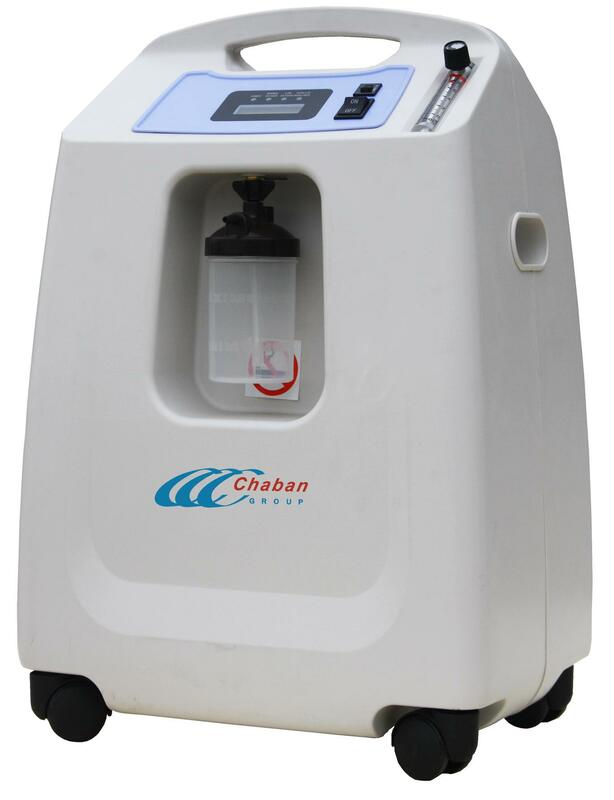 Today, the pressure regulator system is fully manufactured, ship-to-stock, by Chaban Medical, starting with ordering and receiving the materials, followed by large quantity, step-by-step production, packing and shipping. 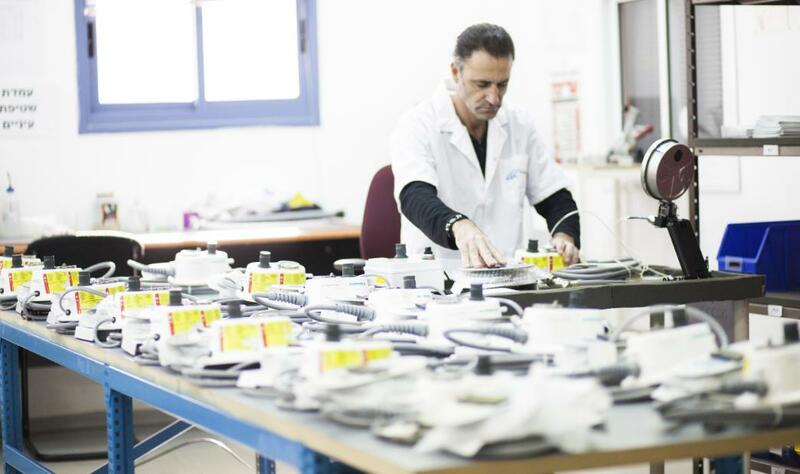 Both the engineering and the production sectors of Chaban contribute to the professional, accessible collaboration involved in the many requirements for upgrading, modifying and improving the product. Design, development testing, and proof of effectiveness procedures are organized and controlled, all working toward smoothly revamping the system within an especially short deadline. temperature, and a set of internal cables. 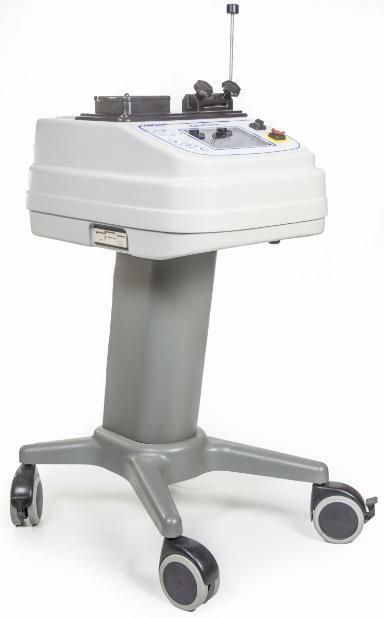 A machined fiberglass structure and precision-milled mechanical components are combined to make a high quality, refined medical electronic assembly, provided the customer with the most reliable, first-rate product. New-Life is an advanced system that uses BEAM™ (Bio Electrical Acceleration Management) technology to imitate the body's bio electrical process by sending pre-defined electrical pulses through the nervous system. Developed by Venus Technologies Israel, the safe, non-invasive system is assembled by Chaban Medical. 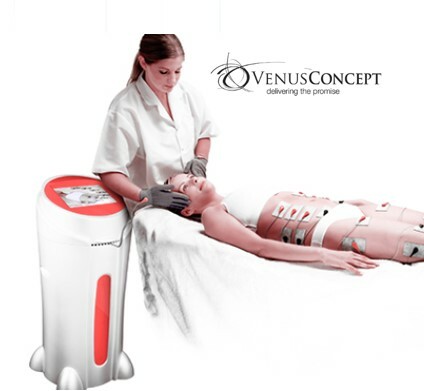 The New-Life system activates specific muscles and muscle groups to stimulate blood circulation and increase metabolism according to the client's request. Components of the New-Life system that were manufactured for Venus by assorted subcontractors were fully assembled at Chaban Medical, where final product approval testing (mechanical and electronic) was also conducted.